Once upon a time, there was a grand old mulberry tree. Then a parking lot rolled over its roots and it nearly died. But that mulberry would not give up. It sent up suckers and continues to bear fruit to this day for all those lucky enough to know it’s edible. 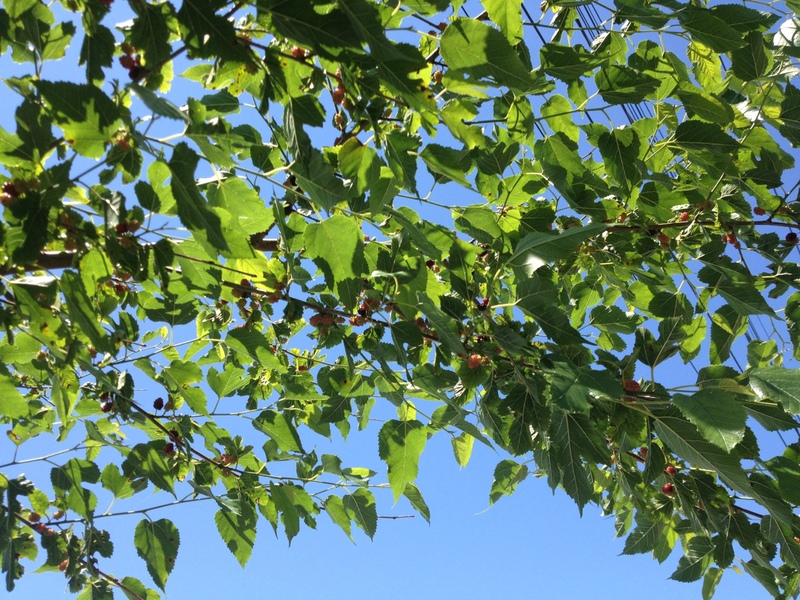 To identify a mulberry tree, look for three distinct leave shapes. 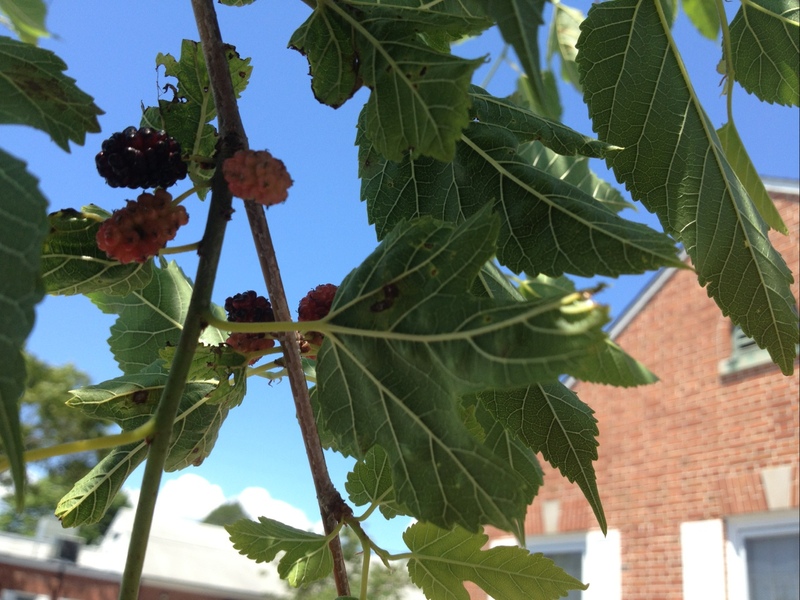 During their fruiting season, they will have berries in all stages of ripeness along their branches. 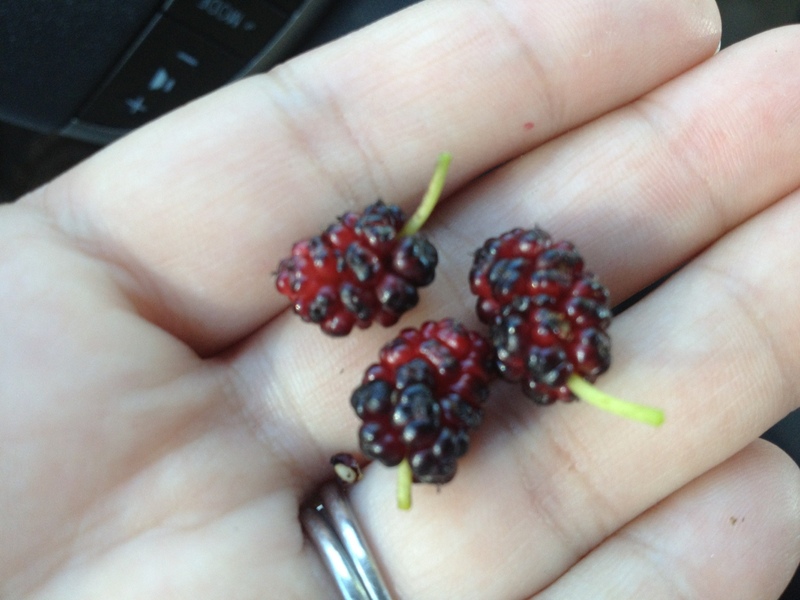 When the berries are ripe, they will turn a dark (you won’t believe this) mulberry color and will nearly fly off the branches when touched.